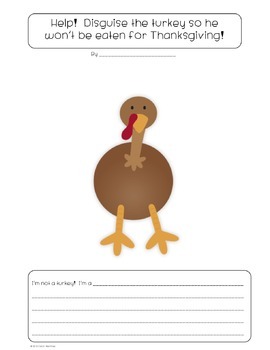 Need a quick, super cute lesson? 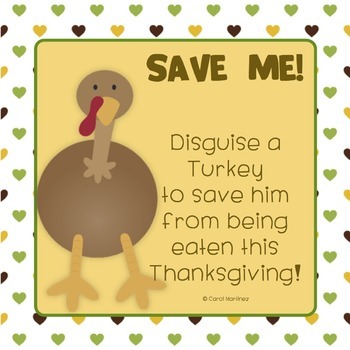 Have your student Disguise A Turkey to save him from being eaten for Thanksgiving dinner! Your students can decorate him with construction paper, markers, crayons, or whatever else you can think of! This would be an adorable bulletin board or family homework project. Please go to your My Purchases page (you may need to login). Beside each purchase you'll see a Provide Feedback button. Simply click it and you will be taken to a page where you can give a quick rating and leave a short comment for the product. I value your feedback! Look for the star near the top of my store and click it to become a follower. Thank you!